If there is one thing that Japan really knows how to handle (besides a well maintained city that is the envy of many, its maximized use of technology, and a strong cultural foundation), it is its well beloved and home grown franchises. Since the post-WW2 era, in a time when Japanese pro wrestling was starting to become an establishment and influence in the country, we have seen the growth of many aspects of modern Japanese pop culture. This includes Japanese animation, and for many years, we have seen many solid franchises come out of the country and became institutions. From the days of Gundam and Doraemon, to the era of Dragon Ball, Sailor Moon, and Yu Yu Hakusho (aka Ghost Fighter, aka the source of the "Tapusin" chants in PWR shows), all the way to modern day classics like Code Geass and K-On!, the Japanese certainly knows how to take care of their properties. And the latest example of this phenomenon is something some fans might easily relate to: Love Live! School Idol Project. For a franchise that has taken a life of its own (besides its anime broadcast), they also came up with a very popular musical game app available for iOS and Android, various albums, concerts, and the like. In other words, it transcended from just being an anime: it became a money-making empire and an institution that exists to this day. The fandom is real, as well as its immediate impact, which allowed droves of people to support their favorite idols. And with a spin off anime coming real soon, it is most likely that we will continue to hear more about the franchise for years to come. Now, you might be wondering: "What does that have anything to do with today's discussion?" With puroresu being a huge presence in Japan, moreso when New Japan and All Japan were both starting out, it was inevitable that they needed a huge presence to bring in sales and audiences. The best proof of that is Jushin "Thunder" Liger, who went on to become a cornerstone in the Junior Heavyweight Division and is very much one of the greatest wrestlers who ever lived. So it was natural that the much beloved "Tiger Mask" franchise was going to become subject of a cross promotion, one that would bring in the younger generation of fans. 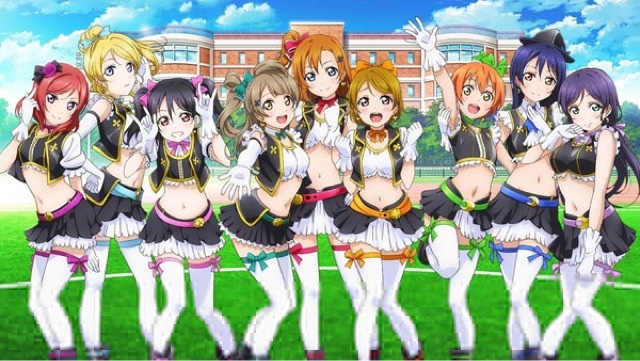 It was the same cross promotional strategy that allowed Love Live to become the success that it is. But remember, this is the 1980's, and technology was not exactly at its peak at the time. So professional wrestling became the medium that would help elevate the franchise in general. 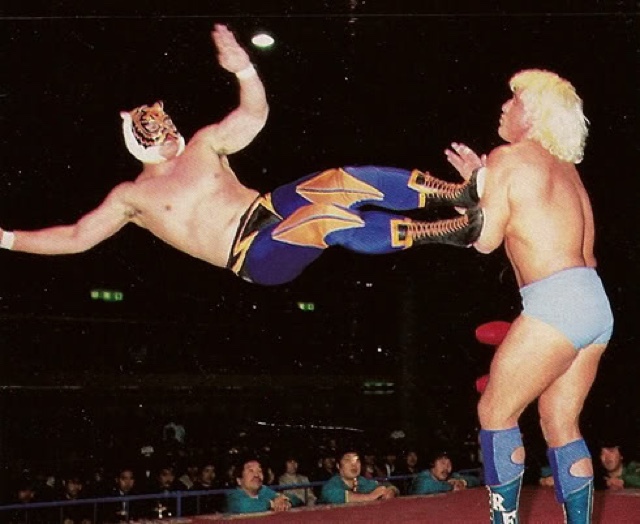 So we look back at the men who donned the Tiger Mask name, and how, in different eras and generations, their incarnations helped shape the world of professional wrestling to where it is today. Tiger Mask was becoming popular to young fans, and New Japan needed a way to bring in newer fans. So they looked towards a man by the name of Satoru Sayama, a talented junior heavyweight but in need of legitimacy at the time. To note, Sayama was relatively green and in need of exposure, so New Japan did what they do to most young lions: they sent him to excursions in England and Mexico in order to bulk up and gain experience. So it was perfect timing that when Sayama came back to Japan, the anime was really popular, and he became the first man to wear the mask and the costume of the Tiger. Under the mask, he took on legends like Bret Hart and the Dynamite Kid, the latter having been beaten by Tiger on his debut (or re-debut). Under the mask, Sayama gave legitimacy to the idea that a guy like him, who may have looked ridiculous in a mask and costume, can beat a proven star like the Dynamite Kid, which means talent would supersede something as ridiculous as an external design. He also managed to work with the WWF before it became the big company that it is today, and went on to hold the WWF and NWA World Junior Heavyweight Championships at the same time, a rare time when NJPW and WWF were actually working together in a sense. It was at the time when he created the Tiger Suplex, which was used by many wrestlers over the years (including Triple H, of all people). Today, Sayama is the owner of Real Japan Pro Wrestling, and has trained different wrestlers since then. He may have recently undergone surgery due to heart complications, but a retirement was ruled out as he still wants to compete and show what he's made of to this day. Without a shadow of a doubt, the most popular and influential Tiger Mask in this list. All Japan Pro Wrestling managed to purchase the rights of the Tiger Mask name, and seeing how it has become a popular property, they decided to make their own version of Tiger Mask, aptly named Tiger Mask II, and gave it to a relative youngster by the name of Mitsuharu Misawa. He went on to don the mask and costume for six years, later to become the only Heavyweight-class Tiger Mask in history, until that fateful day on May 14, 1990, when Giant Baba, AJPW booker and owner, decided that it was time for Misawa to become the star he was meant to be. On this night, in one of the most iconic moments in all of professional wrestling, he asked his partner, Toshiaki Kawada, to forcefully take off his mask and throw it away, effectively lighting a fire in Misawa that no one had anticipated. Since then, he became one of the top professional wrestlers in the world, facing legends like Jumbo Tsuruta, Kenta Kobashi, Jun Akiyama, Samoa Joe, Johnny Ace (aka Mr. Excitement, John Laurinaitis), and his eternal rival, Kawada himself. The five-star match awards he garnered over the course of his career is the stuff of legend that many can only dream of. In the process, he also created and popularized many different maneuvers, including the Tiger Driver, his vicious elbow strikes, and his patented creation, the Emerald Flowsion. But his biggest impact in the world of pro wrestling is when he decided to form his own promotion, Pro Wrestling NOAH, with almost all of the AJPW roster following issues with Giant Baba's widow, Motoko Baba, in a much publicized feud. Imagine if Stone Cold Steve Austin decided to just leave the WWF and decided that he will create his own promotion to fight against WWF and WCW. That is exactly how big of a situation it was. From there, NOAH saw breakthrough performances from future icons like Akiyama himself, Naomichi Marufuji, and of course, KENTA (now known as Hideo Itami in NXT). Sadly, his life was abruptly ended on 2009, and since then, NOAH has been in a state of uncertainty. However, his impact in professional wrestling will forever be felt. CM Punk even had "MISAWA" written on his wrist during the time of mourning, as the entire wrestling world also shared the same sentiments. Two years after Misawa's mask was thrown away, New Japan managed to reaquire the rights of the Tiger Mask name and gave the role of its third incarnation, Tiger Mask III, to Koji Kanemoto, also a relative rookie in his own right. He may have flourished in his role as the third Tiger Mask, but it was also a time when another masked megastar was on active duty: Jushin "Thunder" Liger. 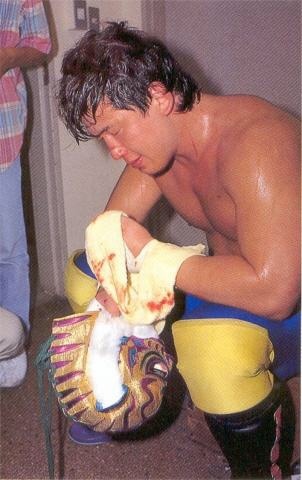 In a mask vs. mask match that took place two years after he donned the mask, Kanemoto lost to Liger. Because of this, he had to wrestle under his real name moving forward. It made sense considering the major popularity of Liger at the time. Funny thing, though, because this may have been the best thing to ever happen to Kanemoto's career. Later in his career, he changed his style entirely to a more shoot-style approach, becoming a huge antithesis to your typical junior heavyweight. He may not have been a high-flier like Liger, Minoru Tanaka, or Prince Devitt, but he is more than capable to hurt people through strikes, kicks, and his ever popular facewash maneuver, a delight that never gets old every time fans see it. He became a five-time IWGP Jr. Heavyweight Champion (a difficult achievement to attain in its own right), a three-time winner of the Best of the Super Junior Tournament, and the only Junior Heavyweight to ever reach the semi finals of the G1 Climax Tournament. And take note, it's a rarity for a Junior Heavyweight to make it big in the G1, so for this to happen speaks highly of his skill and capability as a wrestler despite the size difference. And speaking of Jr. Heavyweight Champion, he also became the first man in history to defend the championship in the United States, in WCW. He also formed a popular tag team with highly skilled wrestler, Minoru Tanaka, known as the Junior Stars, becoming one of the most popular tag teams in recent years, going through NJPW, AJPW, and Wrestle-1. Since then, he has opted to be a freelancer, competing wherever and whenever he feels like it. Although, he did bring back his Tiger Mask III incarnation much recently during the Lucha Libre World Cup. At 48 years of age, it feels like he hasn't aged a bit. As a side note, if you love a strikefest, look up Kanemoto vs. Fujita "Jr" Hayato. You won't be disappointed. The previous three ended their run as Tiger Mask and went on to forge their own identity. Yoshihiro Yamazaki, on the other hand, holds the distinction of being the man who has held the Tiger Mask name the longest, a record that started in 1995 and continues to this day. That's because he's still known as Tiger Mask, in its fourth incarnation. 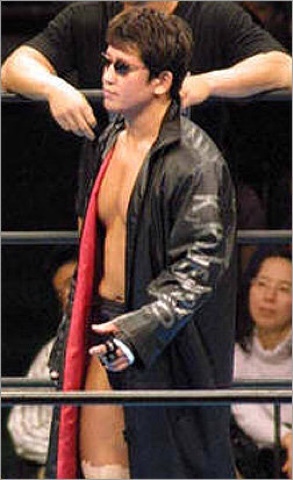 Starting his career in 1995, he competed for his home promotion of MichiPro until 2002, when he suddenly became more involved with NJPW. And on December 2002, it was then announced that Tiger Mask IV was officially signed with NJPW as a full-time star, effectively leaving The Great Sasuke's promotion. In his time with NJPW, he became involved in rivalries with the former Tiger Mask, Koji Kanemoto, as well as his on-off tag team partner, Jushin Thunder Liger, and even Low Ki and Mistico (who fans may know more as the first generation Sin Cara, and currently known as Myzteziz). He is the only man to have ever won the Best of the Super Junior Tournament for two years in a row, and has held titles in both NJPW and Pro Wrestling NOAH. He recently won the NWA World Junior Heavyweight Championship much recently in Destruction 2015 in Okayama. While he is still active with NJPW and is the longest reigning Tiger Mask to date, one common criticism thrown at him is how he feels "uninspired" with his work as compared to his other colleagues in recent years. 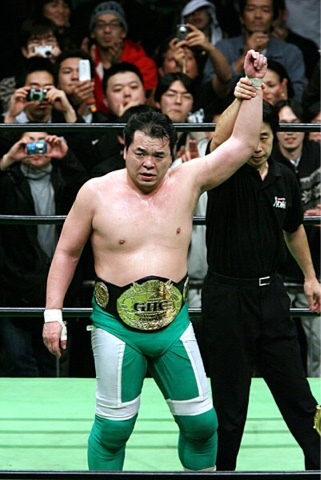 In fact, the last time he held the Junior Heavyweight Title is last 2010, when he lost it to Naomichi Marufuji. Today, he shares the spot with Jushin Liger as a "legend" in the roster, while today's junior heavyweights like KUSHIDA and Kenny Omega are tearing up the junior title scene. This Tiger Mask is an interesting case, considering Tiger Mask IV is still in active duty. 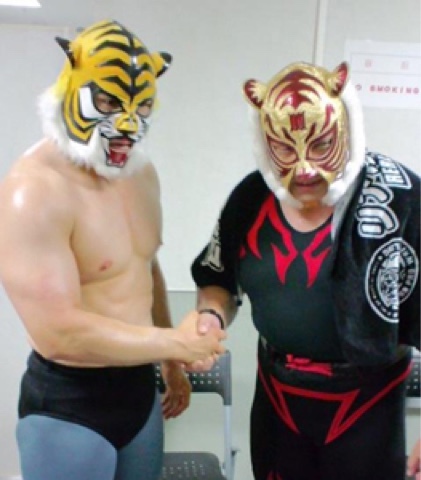 So it came as a surprise in 2010 when Satoru Sayama announced that there was a new Tiger Mask that would again be influenced by his tutelage. And this ended up being Ikuhisa Minowa, a relatively successful MMA fighter than came through PRIDE, DREAM, and K-1. 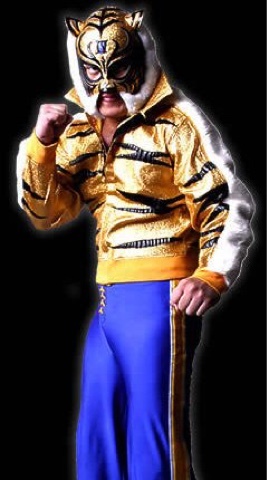 All things considered, however, nothing really came from him after the announcement, and at a late age to get into professional wrestling, it is hard to compare him to any of the previous Tiger Masks. 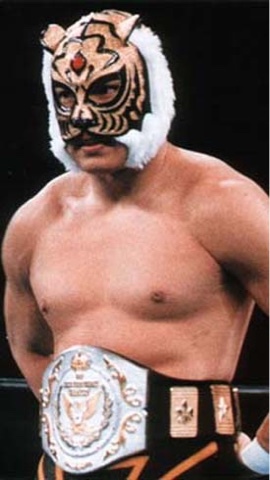 But who knows, maybe a newer generation Tiger Mask would come along in the future. Imagine that, an idea that was meant to help benefit both an anime franchise and a professional wrestling organization became more than what was meant to be. In the span of more than 30 years, the Tiger Mask franchise effectively helped shape the world of pro wrestling as a whole, going through multiple generations and inspiring everyone, from fans to even wrestlers and Hall of Famers. At this point, it's hard to imagine a world where Tiger Mask never existed. And if in the future, there would be a sixth Tiger Mask, well, that person will have huge shoes to fill. Who's your favorite incarnation of Tiger Mask? And why? Sound off in the comments!